The Playstation 2 is a gaming icon. It is the hottest selling home console ever created, and the chance of anything surpassing it’s global sales in my lifetime is pretty slim. The Wii is essentially the PS2 of sales this generation, but it wont come anywhere close to topping the PS2 in sales on a global scale. However, as Gamasutra shows, it could very well surpass the US market sales. The Wii is about 10 million units behind, and with sales continuing to dip it could take another 2 or 3 years to surpass the PS2 in the states. This assumes, of course, that there isn’t a major sales boost from the 150$ price drop. It also assumes that once Cafe comes out, or even before that, that the Wii will simply stop selling altogether. Gamasutra says the Wii will come very close to the PS2 mark of 46.1 million units in the US, but it wont actually break the record. I, however, see things differently. While the Wii is going to continue to decline in sales and maybe only move 6 million units this year (it could get 7 million with hits like Skyward Sword coming), the real sales mark will be determined by the support from Nintendo. Keep in mind there are A LOT of games in Japan American’s want to come stateside. In addition, Nintendo could still have another 2 or 3 major titles slated for the Wii. Among them could be a follow up to NSBW, or a new Kirby game and possibly another DKCR’s game. Games that (outside of Kirby) may not actually take a lot of development time, but are easily capable of adding a lot of new levels in the present system to make for a fresh experience. I think Nintendo is going to push the Wii this year and into at least half of next year. Nintendo needs to gather just about 11 million sales from now until Cafe’s launch to pass things up, and so long as Nintendo supports the Wii I see no reason for it not to happen. Despite declining sales, it’s still moving a lot of units. 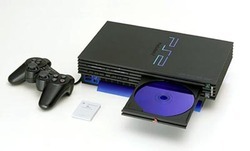 Do you think the Wii will surpass the PS2 in sales in the US?